Ruth Hull Chatlien started following A Writer of History a few months ago. She’s been an encouraging voice as I blog about historical fiction, my latest survey and aspects of my own writing. Today she talks about her writing and a novel with an enticing title The Ambitious Madame Bonaparte, about the wife of Napoleon’s younger brother, Jerome. Why did you choose to write historical fiction? For the last 25 years, I have worked as an editor and writer in educational publishing, concentrating on social studies—particularly U.S. history, world history, and world geography. I also wrote literary fiction and had several short stories and poems published in literary journals. In addition, I have three unpublished novels tucked away in my filing cabinet; generally, I received good feedback on the writing, but they were very personal books without a clear marketing niche, so I wasn’t able to place them. Then, a few years back, I decided to integrate the two halves of my career—my educational work and my creative work—and try writing historical fiction. I discovered that I loved it. The year I spent drafting The Ambitious Madame Bonaparte turned out to be the happiest year of my life. Why this particular book – The Ambitious Madame Bonaparte? My husband and I were great fans of the Horatio Hornblower television series in the late 1990s. Then in the 2000s, we discovered an additional four episodes we had never seen because they were produced much later. The last of those featured Jerome and Betsy Bonaparte. Despite my familiarity with world history, I didn’t know that Napoleon’s brother married an American. When I looked up the facts on the Internet, I discovered that Betsy’s real life was far more interesting than the snippet shown (and distorted) in the television show. One of my main goals for the book was to portray Betsy in all her complexity. She’s someone who’s easy to dismiss as a stereotype. Older interpretations of her life focused on the romance and the injustice of Napoleon’s opposition to her marriage, while many modern historians disparage her because of her vanity, ambition, and obsession with rank. I think either interpretation is too simplistic. I wanted to create a more nuanced portrayal that showed both her flaws and her strengths, the qualities that make people want to shake her and the qualities that make people want to give her a hug. Even when I disagreed with her choices, I felt that it was my task to show why she made the decisions she did and how they grew out of her own values and goals, not mine as the writer. How long did it take for your book to be published? It took a little over a year from the time I first started marketing it. I spent about six months shopping it around to agents without much success. Then in February 2013, through a mutual friend I met a man who had established Amika Press, a small publishing company in Chicago. He was excited about the concept of my book, so after taking some time to consider whether I was ready to give up on New York publication, I submitted the manuscript. The publisher and editor at Amika read it and agreed to take it on. My editor was fantastic and really helped me make it the book I dreamed it would be. We went through one major revision and one copy edit, and then the novel came out at the beginning of December 2013. What do you think attracts readers to stories of this era? I think people remain fascinated by Napoleon and the Bonaparte family in general, so that’s probably the biggest draw for this story. Once readers get into the book, however, they are surprised by how interesting the American history in the novel is. The early years of the U.S. republic and the War of 1812 are time periods that people don’t seem to remember much about from school. I’ve had a lot of readers comment on how much they learned from the story. Have you developed a particular approach to research and writing? I research until I have the basic events of the plot and a strong understanding of the main character. For me, character is everything. I want the events of the plot to grow organically out of the psychology of the main players. This principle stems from my work in literary fiction, but I found it held true even when I was dealing with a plot whose events I couldn’t change because they were historical facts. Once I have the framework of plot and character in place, then I do a lot of research for period details while I’m drafting. I like the interplay of researching and writing simultaneously because the two processes feed off each other. Have other writers of historical fiction influenced you and, if so, how have they influenced you? I admire many writers of historical fiction. Tracy Chevalier, Hilary Mantel, and Sarah Dunant immediately come to mind. However, I can’t say that any of them have influenced my writing directly. I think, because I spent a couple of decades learning my craft before I switched to historical fiction, my style and approach were already established long before I began to work in this genre. What ingredients do you think make for a top historical fiction author? I think the best historical fiction authors create a portal that allows us to step into the past. To do that, they need to tell us compelling stories—hopefully, tales that aren’t too familiar—with complex, realistic characters and enough period detail to make the world seem concrete. What techniques do you employ to write productively? For me, it’s crucial to be able to listen to the story and let it tell me where it wants to go. I’m not the kind of writer who could ever churn out 50,000 words in a single month the way NaNoWriMo participants do. I can’t force the process because I need time to hear my characters; if I can’t hear their dialogue in my head and if I can’t hear the narrator describing the setting or the action, I’m not ready to write. Usually, I hear approximately half a chapter further along than the scene I’m currently writing. Whenever I do try to write beyond that point, then I find myself driving down a dark road without headlights. Invariably, I get lost. On a practical note, one of the very best ways for me to hear the story when it’s gone silent is to take a walk outdoors. Do you think of yourself as building a brand? If so, how would you describe it and how do you plan to reinforce it? Yes, I do think of myself as building a brand, but it’s a subtle one. It doesn’t focus on any one period or place. Instead, I plan to focus on strong women caught in times of conflict. For example, I’m starting to research my next novel, which will portray how one woman was affected by a war on the frontier in the 1860s. Her world is a far cry from Betsy’s, but the two women share the quality of being fierce survivors. What do you do to connect with readers? The book has been out only a little more than a month, so I haven’t had much opportunity to connect with readers yet. I have an author page and a blog where readers can contact me. I love getting messages from people who’ve read the book. I’m also planning to reach out to book clubs and libraries because I believe The Ambitious Madame Bonaparte has the potential to spark lively reader discussions. What do you know about your readers? So far, my readers have mostly been women who are drawn to the strong female protagonist. However, a few men have also read the book and commented positively on it, particularly the historical aspects. 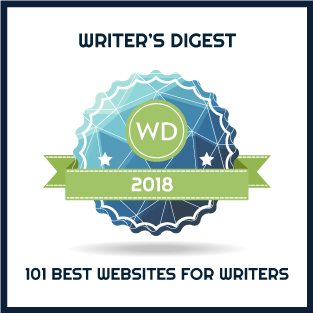 What strategies guide your writing career? The single most important thing to me is to write a book that I’m proud of. That matters to me more than publication, more than sales figures. What would you do differently if you were starting again? I’m not sure I would do anything differently. I love my unpublished novels, and I grew so much through the writing of them. To say I would make different choices would be like disowning my children just because they hadn’t succeeded professionally. Besides, I still hope I might be able to bring them out someday. Do you have any advice for writers of historical fiction? Write the stories you’re passionate about, the ones that you want to salvage from the dustbin of history. Is there a question you would like to answer that I haven’t asked? No. I just want to thank you for offering to interview me on your blog. And many thanks to you, Ruth. I particularly like your comment on top historical fiction authors creating “a portal that allows us to step into the past”. I’m going to hold onto that thought as I continue to write! 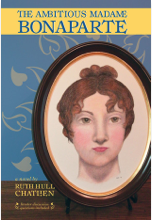 The Ambitious Madame Bonaparte by Ruth Hull Chatlien, published by Amika Press. As a clever girl in stodgy, mercantile Baltimore, Betsy Patterson dreams of a marriage that will transport her to cultured Europe. When she falls in love with and marries Jerome Bonaparte, she believes her dream has come true—until Jerome’s older brother Napoleon becomes an implacable enemy. Many thanks to Mary Todd, author of UNRAVELLED, for interviewing me on her blog today. I hope the tour goes well, Emma. Interesting to see several books about the Bonaparte family at the moment. Excellent interview and the book sounds fascinating. Thank you. I read this book and it is awesome to hear the thought-process that went into both its creation and its publishing future. Ruth is an inspiration, and I can’t wait to read the next book! Thanks for stopping by, Yvone. I’m sure Ruth is very happy to have enthusiastic supporters like you!